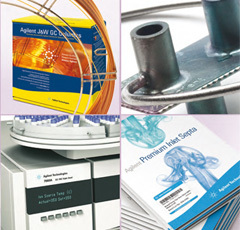 In 2000, Agilent Technologies, the inventor of low-bleed HP-5ms columns, merged with J&W Scientific, the creator of DB-5ms – the first GC stationary phase to use arylene technology for lower column bleed. 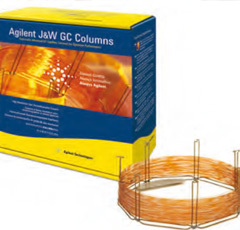 Thanks to this partnership, you can find both the renowned HP and DB column families under the Agilent J&W name. 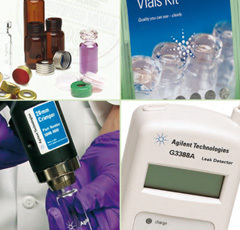 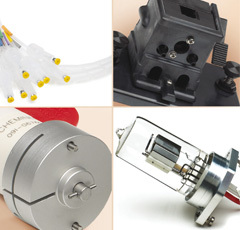 And they're all brought to you by Agilent Technologies – a company with over 40 years of gas chromatography experience. 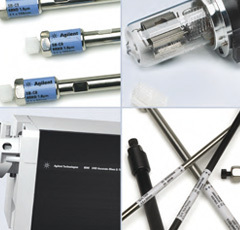 In 2010, a new chapter began with the addition of Varian, Inc.
HPLC columns consist of two parts: the column chemistry and hardware. 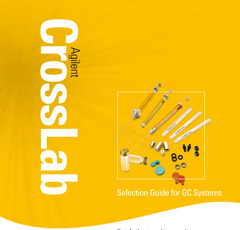 For the proper column chemistry, consult the catalog section for each type of bonded phase. 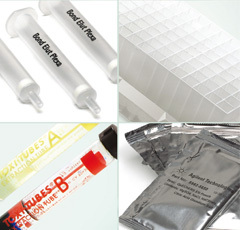 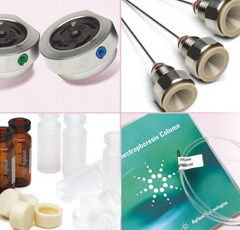 For choosing column hardware and particle sizes, consult the section on column sizes and rapid separations, including Agilent ZORBAX Rapid Resolution HT, Solvent Saver, Capillary and PrepHT columns. 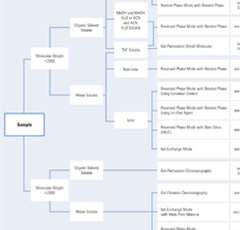 Choose a column packing with small pore (60-120Å) if the solute molecular weight is less than about 5000. 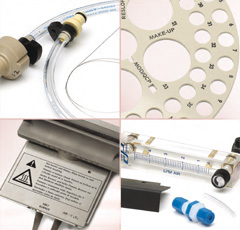 Otherwise, use column packing with the 300Å pore size.